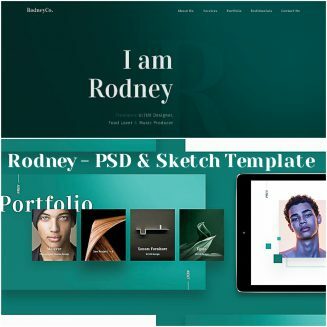 Rodney is a Portfolio Template available for both Photoshop and Sketch. 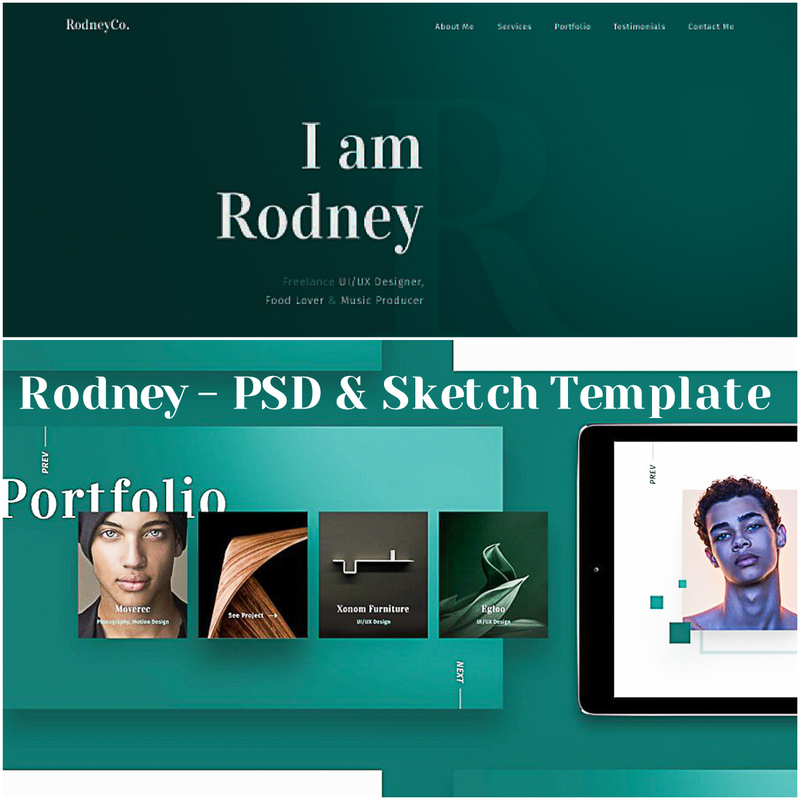 It is an awesome start to create a creative personal portfolio or for a client. It is composed by one single page divided in 6 sections, covering all the most important informations for your business. Tags: portfolio, portfolio website, psd, single page, sketch, web.